Hotel Danieli benefits from an amazing location close to the most iconic places of Venice. 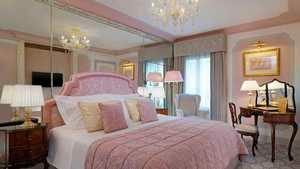 Its traditional furnishings and precious art and antiques will guarantee you a true Venetian experience. Its Restaurant, the Terrazza Danieli, is absolutely charming. Hotel Danieli is a perfect place to stay for a romantic weekend or an amazing cultural holiday. 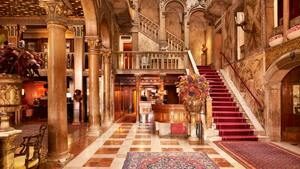 Close to the renowned Piazza San Marco, with the astounding Palazzo Ducale and the iconic Saint Mark’s Basilica, the Hotel Danieli is very well located in the historic centre of Venice. Overlooking the Venetian lagoon, the hotel is also a few steps away from the romantic Bridge of Sighs. The Hotel offers a wide range of high standard services. The Restaurant Terrazza Danieli welcomes guests for a memorable experience and a taste of traditional Venetian cuisine. 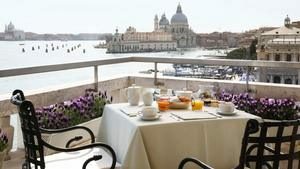 Its splendid terrace with a stunning view of Venice is open from May to October. Bar Dandolo is a charming relaxing place to enjoy an aperitivo after a busy day or an English Afternoon Tea served daily at 4.00 pm. The Danieli Wine Suite is available on request for a wine and food pairing experience beyond compare with expert sommeliers and a breath-taking view on the Venetian lagoon. The outstanding rooms reflect the impressive cultural heritage of the city with their majestic windows and authentic high ceilings. Twelve room categories are available: Superior Single, Deluxe Double, Premium Deluxe Double, Luxury Double, Deluxe Lagoon View Double, Luxury Lagoon View Double, Luxury Lagoon View Double with Balcony, Executive Suite, Junior Suite Lagoon View, Lagoon View Suite, the Signatures Suites and the Doge Dandolo Royal Suite.